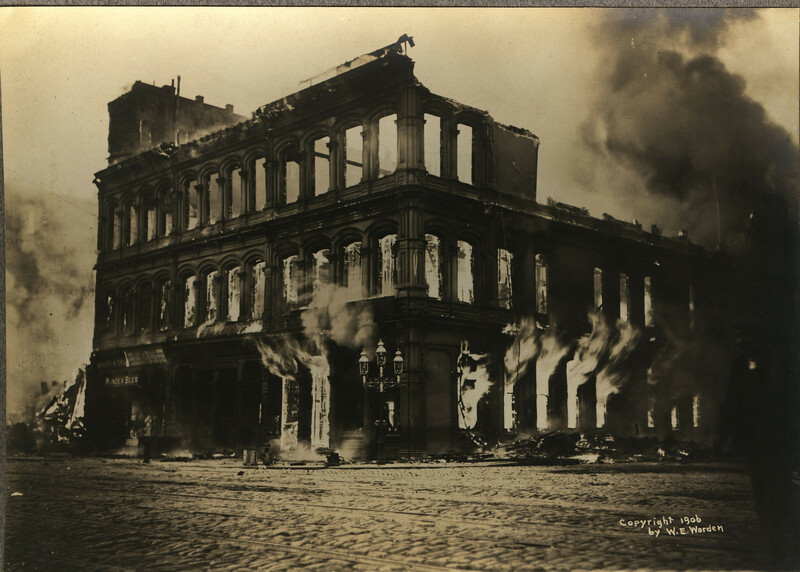 This photograph shows a building in San Francisco, California engulfed in flames after the 1906 San Francisco Earthquake. In 1906, 90 percent of San Francisco's buildings were constructed with wood frames and were packed together on narrow streets. These highly combustible buildings were not required to have sprinkler systems.